A new business model has been created to revamp the Squash industry and turn the once flailing sport into a profitable and thriving business. Using the state of the art high-performance exercise machine Wattbike, the ‘hurt locker’ can also provide strength and conditioning programs for golfers, triathletes and cyclists, as well as include facilities for yoga and Pilates. Bowden believes that squash is experiencing resurgence and has developed a business model for improving the profile of the game. 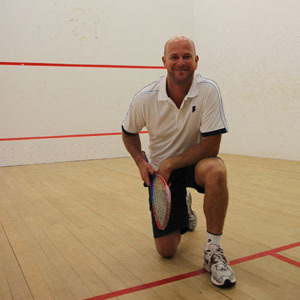 He plans to renovate existing squash facilities, or build new ones, in targeted locations as well as developing and sustaining corporate leagues in city centres and a community-based approach in the suburbs. Bowden’s business model will see the Wattbike available in facilities that operate in shopping centres, office developments, residential subdivisions or high-rise buildings. “We can show businesses how to build, operate and make money off squash courts – especially in small spaces,” states Bowden.